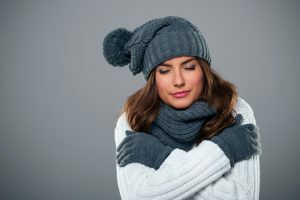 Heat Pump Repairs You Might Have This Winter | AAction Air Conditioning & Heating Co. If you’ve noticed that your heat pump is not providing a sufficient amount of heat or a lack thereof, it is time to schedule repair services. A lack of heat could be the result of a refrigerant leak, which can lead to a whole variety of other issues. A professional will have to seal the leak and recharge the refrigerant to restore your heat pump’s function. Uneven heating will make it feel as though you have cold spots throughout your home. If this is the case, it could be that your heat pump is not an appropriate size for your home. An undersized heat pump will be unable to deliver the amount of heat required to keep your home warm and comfortable. If this is the case, replacing your existing system with an appropriately sized model might be your best option. If you’ve noticed the development of ice along your outdoor condenser unit, you definitely have a problem on your hands. A build-up of ice can restrict airflow, leading to extreme inefficiency and damage. There are a number of things that can cause this issue including a faulty defrost thermostat, a low refrigerant charge, a blocked or dirty coil, poor drainage, and even gutter water dripping onto the unit. As you know, your heat pump is quite versatile, allowing you to switch between “cooling mode” and “heating mode” via reversing the flow of refrigerant. A faulty reversing valve (the component that reverses the flow of refrigerant) can make it that you are unable to switch between the two modes. You will likely notice this at the beginning or end of the heating or cooling season. A professional will have to replace the faulty reversing valve. If your heat pump simply won’t turn on, it can leave you quite uncomfortable as temperatures drop. This issue is likely the result of an electrical problem. Shorts in the wire between the thermostat and the heat pump are often responsible. If you experience issues with your heat pump, be sure to contact AAction Air Conditioning & Heating.